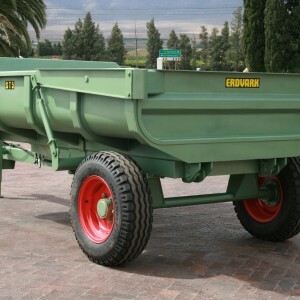 Two wheel tip trailer with drop sides for general farm use. Available in 3 ton, 5 ton and 8 ton trailers. 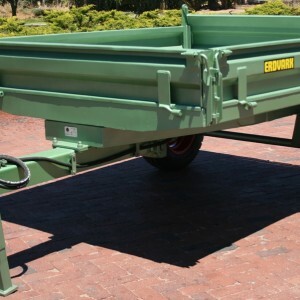 The trailer is available in a Econo duty, Standard duty and Heavy duty on some models. The drop sides on all models are removable. 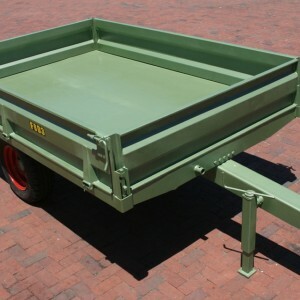 Heavy duty 2 wheel tip trailer with 6 mm load body. Ideal for removing stones from fields and building of roads. The Stone Trailer is available in 3, 5, 8 and 10 ton. The 8 ton is available in Standard and Flotation Tire model. The 10 ton is only available in a Flotation model. Run in brakes are available as a extra option. 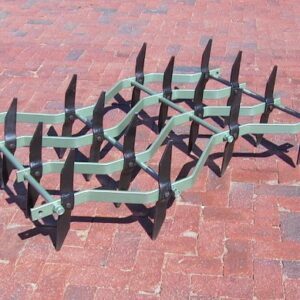 The Spike Harrow range is available in the 25 kg with 16 mm spikes, 45 kg with 20 mm spikes and 64 kg with 50 x 10 mm double sided spikes. There is a trailed Toolbar or 3-point hitch Toolbar available for the spike harrows.